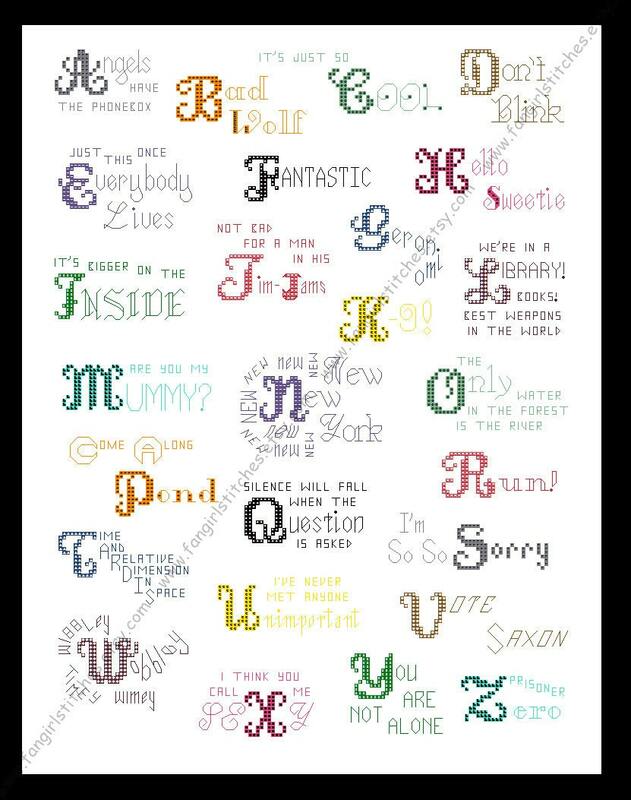 This cross stitch pattern features a selection of my favourite quotes from the new series of the BBC's Doctor Who. C is for It's so Cool! Finished design: will fit a 14x11 inch frame. Alternatively, stretch it over a paint canvas, as in the picture above. 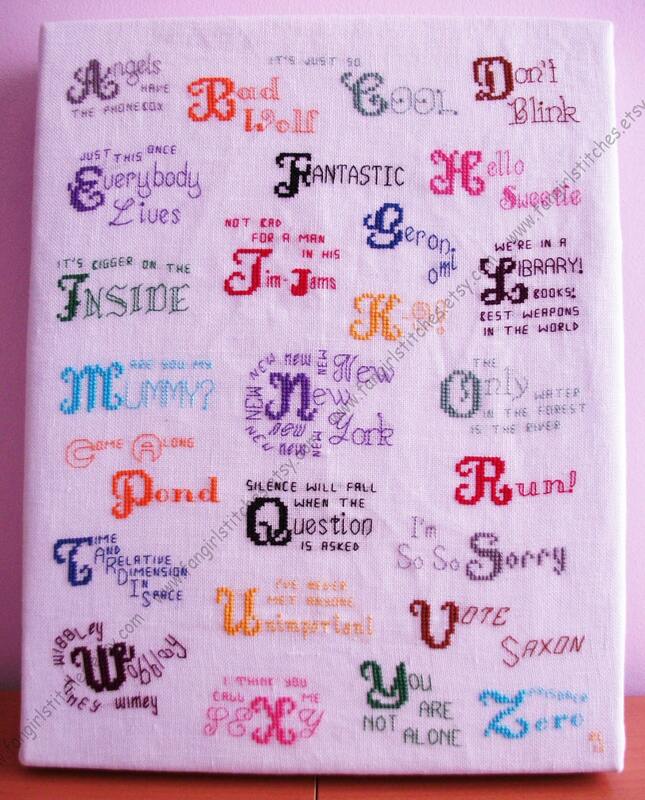 This design features whole stitches and backstitch, with a couple of half-stitches. It’s suitable for intermediate stitches. This is what I have done so far! It’s so perfect! I love the meaning behind each letter. I love to use the back-stitch. And thank you for putting in all the French Knots! This project has taught me how to perfect them! My husband can't wait for me to stitch this.